In the late 1940’s through the early 1950’s in the mountains of Southeastern Kentucky, there lived a husband and father of six. As a young man he had worked at different jobs. His father owned a large farm in Cowan, Kentucky so he helped out with the chores there. Later on he drove a delivery truck for the Coca Cola Bottling Company. He also worked at a saw mill. He was a tall man with dazzling brown eyes that twinkled when he smiled. 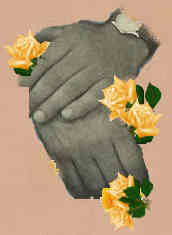 His hands were large and strong, yet ever so gentle. He and his family lived in a place called "Rocky Hollow." Of course they knew it as "Rocky Holler." 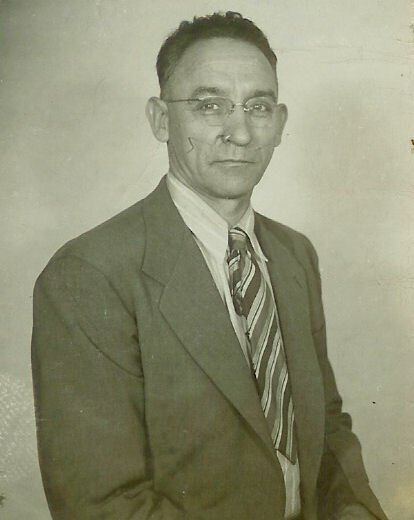 He owned a dry goods store and a shoe repair shop in East Jenkins. In this town he was known as the "shoe cobbler." Early in the morning the cobbler would begin his day. He would drive out of the hollow and up the road to the shop. If it was winter he would have to build a fire in the little coal stove to warm the building. The dry goods store was in the front of the building and the shoe shop was in the back. The store was filled with apparel and shoes for men, women and children. Everything was placed in order on shelves and on tables. There were two large windows in the front of the building where he would make a display of items that were for sale. In the window you might see a combination of ladies high heels, men’s work boots, Carhart overalls and ladies dresses. Each day as he entered the shop he would reach up and get his shop apron off a hook and slip it over his head. He would then take inventory of what he needed to do that day. All the shoes were tagged as to what kind of repair needed to be done and when they would be picked up. There were shoes of all kinds. On one shoe was an unusual order, it was for a man who had one leg that was shorter than the other; he wanted the shoe built up. This was a little out of the ordinary, but he would tackle it. The shoe shop was a marvelous, mysterious kind of place. There were shelves that held large sheets of leather. There were boxes and boxes stacked high containing different sized rubber heels. Each box had a picture of a black cat with it’s paw sticking up. That was because the brand name for the shoe heels was "Cat’s Paw." In another area you would find heel and toe taps made of metal and some very distinct tools, some for taking the old soles and heels off the shoes and others for putting new ones on. With his skillful hands he would remove all the old soles and heels on the shoe, then with one of the special tools he would cut the leather to the shape needed. Next he would carefully place the shoe on a metal pedestal that was shaped like a shoe but turned upside down. The shoe was ready to be glued and then sewed. A heavy-duty sewing machine sat in one corner of the shop. The machine had to be pedaled by foot. He would take such care as he guided the shoe with his hand through the machine to make sure the seam would be straight. With the flip of a switch a machine started running and the wheels started turning. It was a large machine about 8ft. long and very loud. There were different sized wheels for grinding the leather smooth around the soles and heels. There were wheels that had brushes and cloths for polishing the shoes. He meticulously held the shoe in his hand and would rotate it around and around until the leather was smooth to his satisfaction. The finishing touch would be to polish the shoes, then they would look like new again. The cobbler took great pride in his finished work. His customers consisted of doctors, preachers and teachers, but mostly his customers were coal miners and their families. He treated everyone the same. He was a friend to all of them and highly respected by all. He was a man of integrity. Sometimes men would stop in just to talk to him, if they wanted a good Bible discussion they knew where to come. He was very hard of hearing and had to wear a hearing aid in each ear. It was the kind that the battery had to be worn in the pocket of the shirt and the cord ran up to the ear into the ear piece. Even with his hearing problem he enjoyed his conversations with the customers. 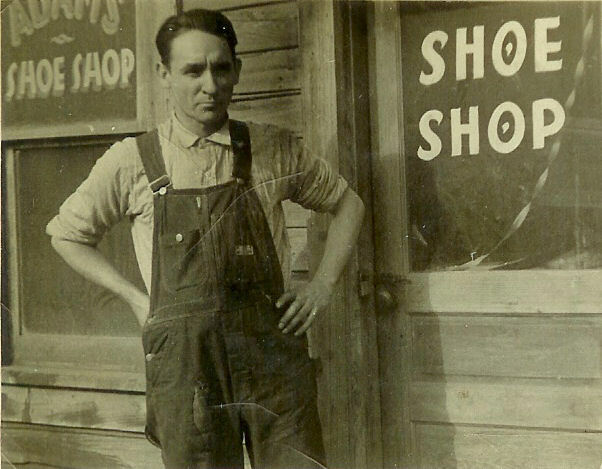 In the early 1950’s the shoe cobbler and his family had to leave East Jenkins. Hard times had come to the small town because the coal mines were not doing any good. Since most of his business came from the coal miners and their families his business couldn’t survive. It was a hard move for the whole family, but it was something that had to be done. 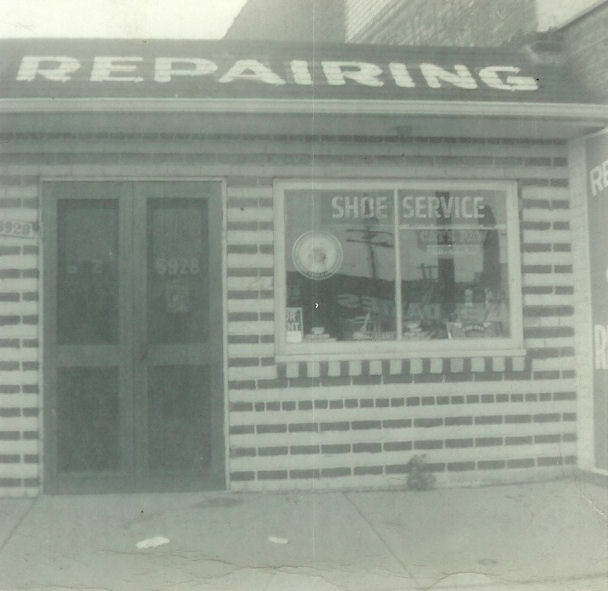 The shoe cobbler now had a shop in Detroit. 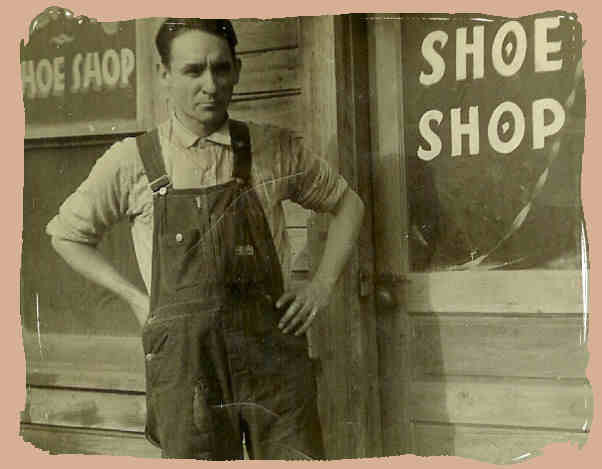 Once again he started his morning routine, but he no longer drove from the hollow and up the road; he no longer had to build a fire in the coal stove, but he still repaired shoes and won the customers' hearts in the same way he did while he was in Jenkins. He still had many Bible discussions with his customers. The reason I know so much about this shoe cobbler, he was my dad. 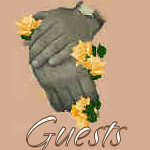 Those same hands that made a living cobbling shoes all those years were also those same ever-so-gentle hands that led me. They led me to learn about the good things in life, like fishing, plugging watermelons, going on trips and making a guitar out of a shoe box with string. 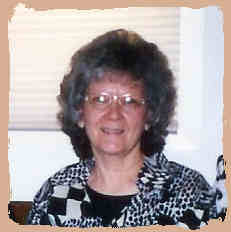 Most of all they led me to church every Sunday, which led me to know the way to salvation, through Jesus Christ. "The Shoe Cobbler, The Man"~~Kelsey Adams.